Quality Carpet Cleaning at an Affordable Price! 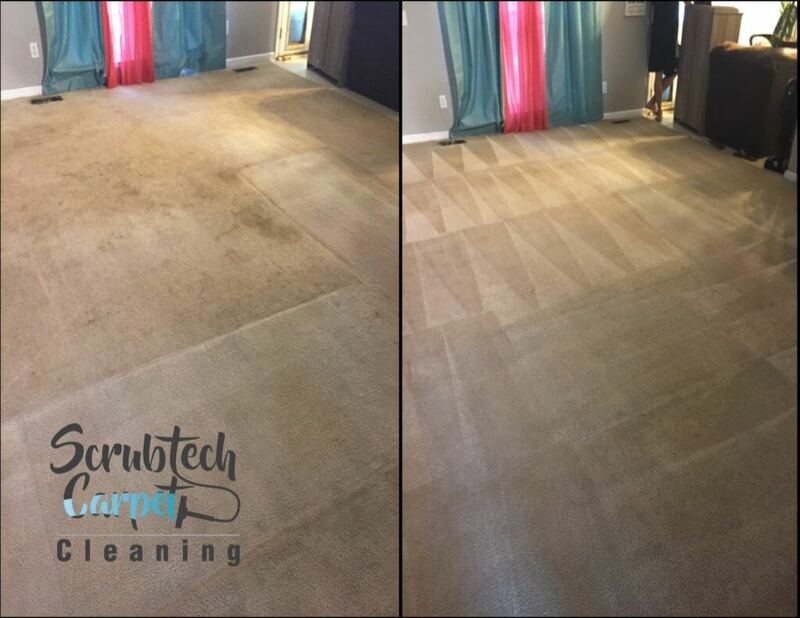 At Scrubtech Carpet Cleaning we guarantee your satisfaction and an overall pleasant experience. We strive to offer excellent customer service and treat your home as if it were our own. The most care will be taken to not only clean your home but also protect it. 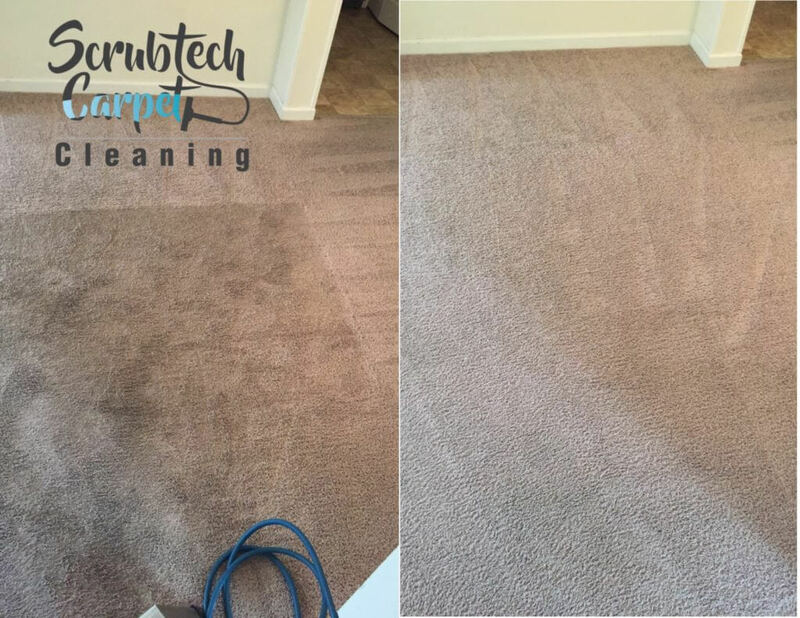 By using state of the equipment and having the knowledge to do the job right, your carpets are in good hands with Scrubtech Carpet Cleaning. They did a great job and thank you Michelle for keeping us updated about arrival and great team ty ! 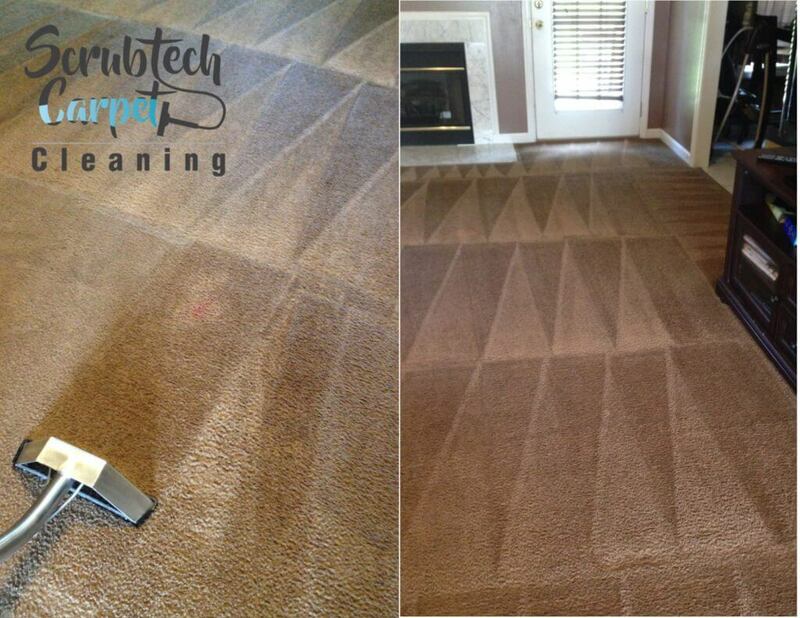 We vacuum your carpet to remove as much dry soil and debris as possible. 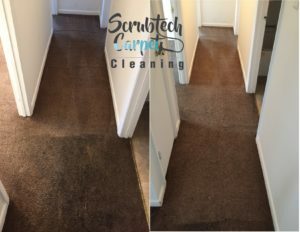 This is very important for the cleaning process and is often a step which many carpet cleaners overlook. 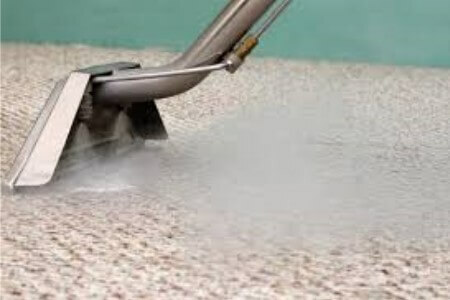 A carpet cleaning chemical is applied to the carpet which helps to break down and loosen soil. 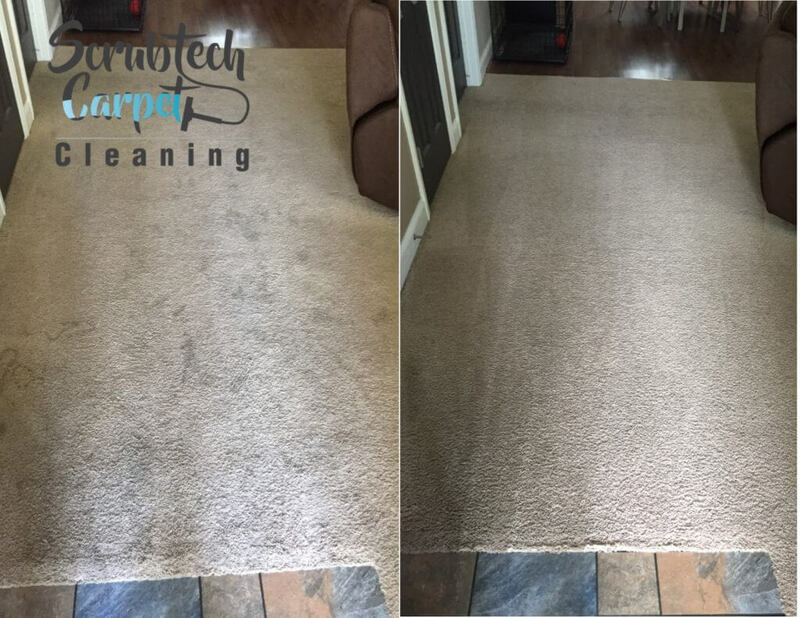 It also helps to deodorize and get the carpet ready for steam cleaning. 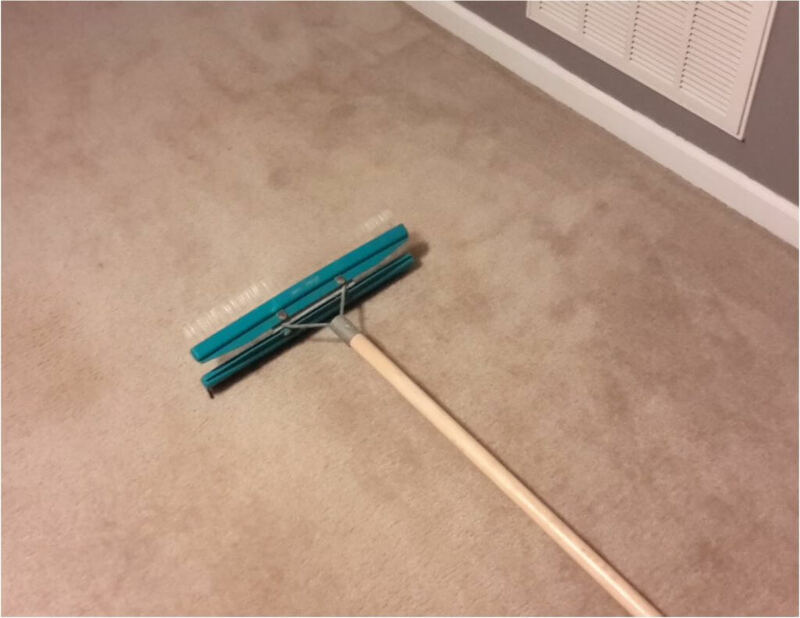 An orbital floor machine is used to agitate the carpet cleaning chemical deep into the carpet fibers. 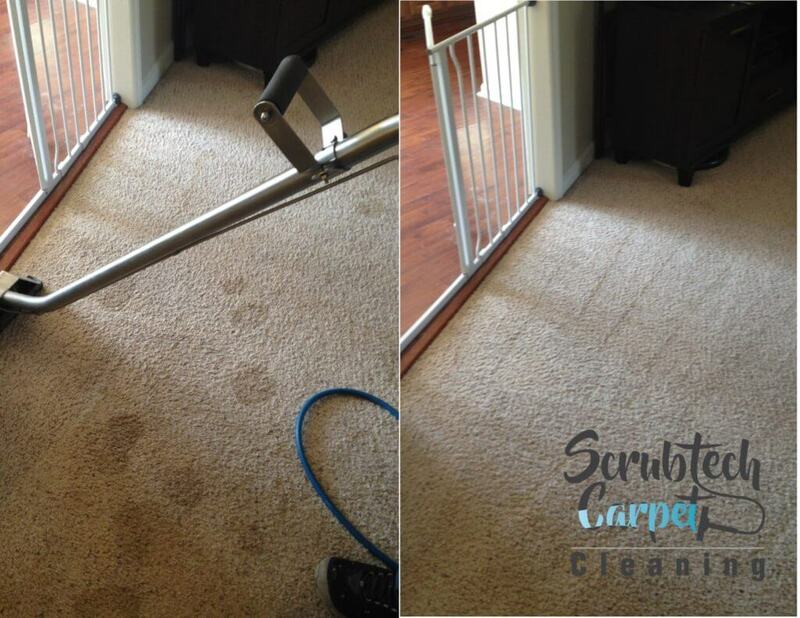 This helps to remove stains, spots and soils from the carpet fibers. 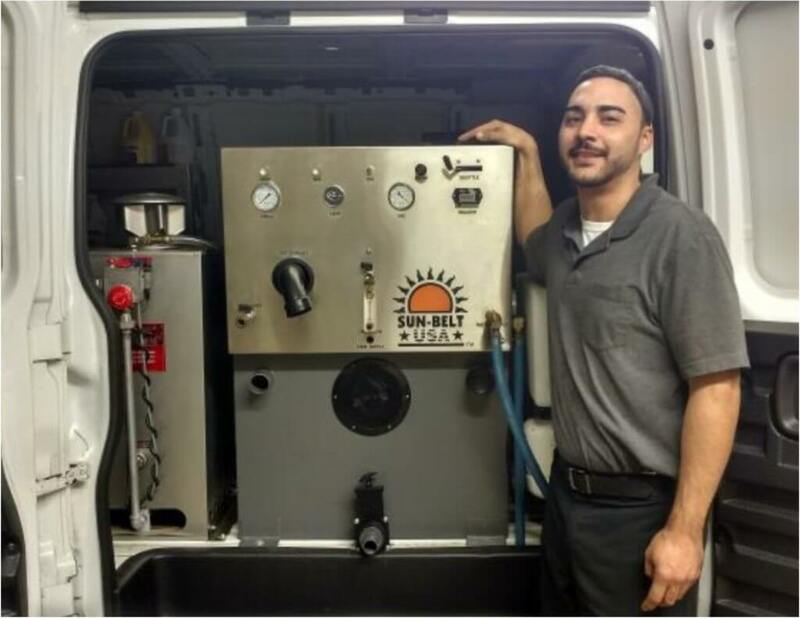 Using our truck-mounted hot water extraction machine A.K.A. 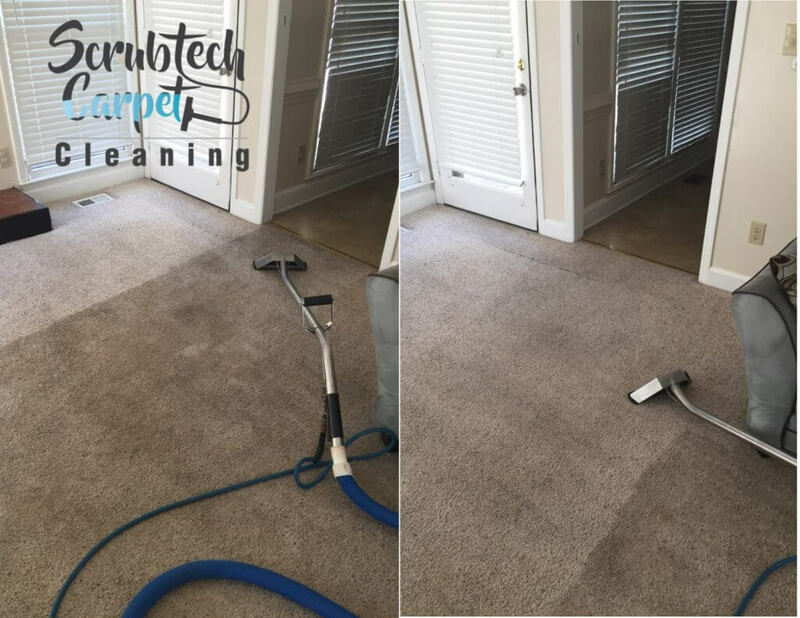 steam cleaning machine we will steam the carpets and extract the dirty water out of the home leaving your carpets in great condition. Most spots and will be removed during the steam cleaning but some stubborn spots may remain. We use specialty chemicals to remove any remaining spots which are removable. To take the cleaning process one step further, we use a cotton absorbent pad called a bonnet to absorb any soil which may have been left behind after the steam cleaning. This ensures that your carpets are as clean as can be. These are some of our most frequently asked questions about carpet cleaning in Fayetteville, North Carolina! 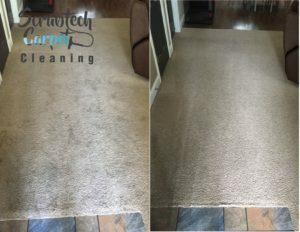 Do I need to be there in order for you to complete the carpet cleaning? In short the answer is no. 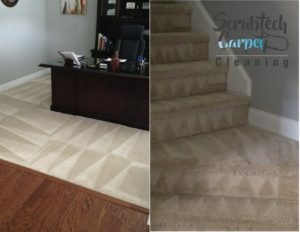 We can complete the carpet cleaning while you run a few errands or do whatever you need to do. We just need you to pay the bill and as long as that is taken care of we could do the job and lockup when we are done. Normally we meet the customer at the house, then they leave while we do the job and we text or call them 30 minutes before we finish so that they can meet us and pay the bill. Currently we accept cash or check. Will there be tax or any added fees onto the stated price? The price on the coupons or the price that we quote over the phone is the final price and there is no additional taxes or fees added on. Do I need to vaccuum before you come and clean the carpets? 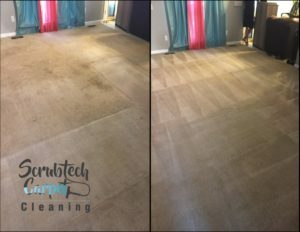 While it is definitely greatly appreciated if you can vacuum before we come out, if for some reason you are unable to vacuum we can handle that for you at no charge. Can you provide a receipt or proof of service? Yes we will provide you with a receipt upon completion of the carpet cleaning service. We clean your carpets using the most recommended method available which is steam cleaning. 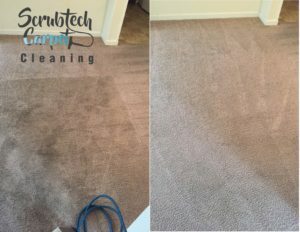 This process allows us to remove the most dirt, debris and allergens while not being too aggressive on the carpet itself. 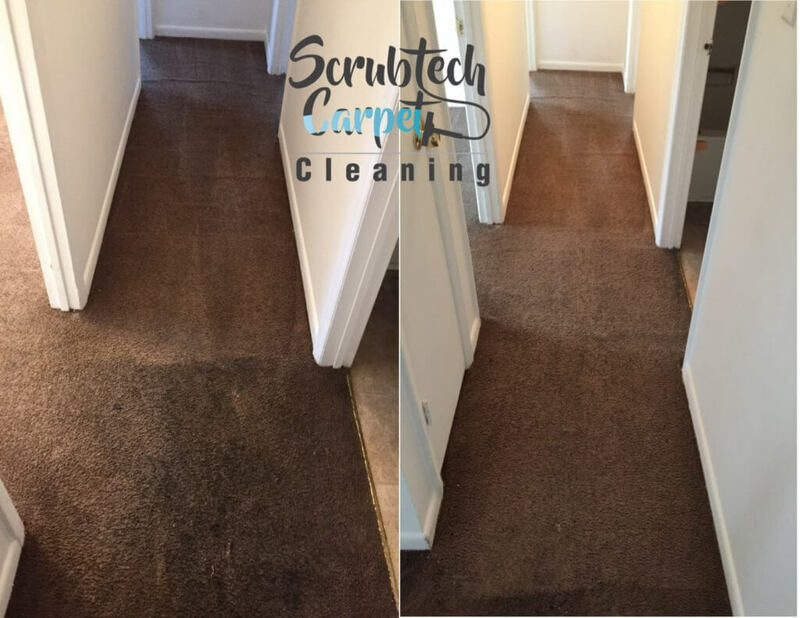 We use chemical cleaning solutions to suspend the unwanted dirt and soil in the carpet. We then use the steam cleaner which also vacuums out the dirty hot water which was used to rinse the carpet clean. 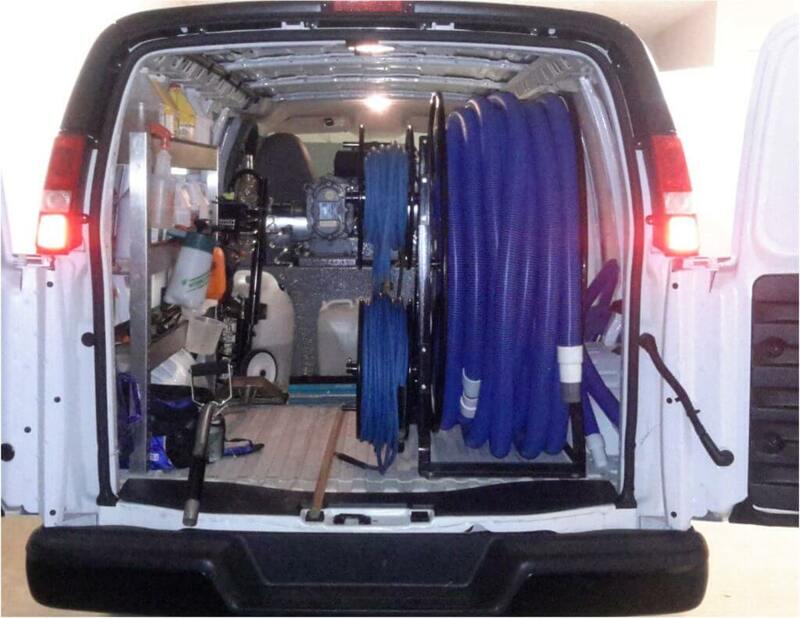 We use a truck Mounted steam cleaner, not one of those cheaper portable units. 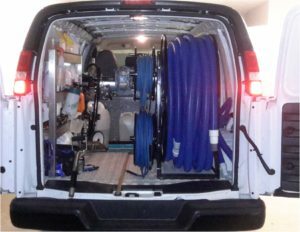 We have all the equipment which rental and property management companies look for when you get your carpets cleaned for your move out. For those who aren't moving out, we have the right stuff to get your carpets looking great again. Professionalism, attention-to-detail and trustworthiness are 3 key factors that set us apart from the average cleaning company. We always strive to deliver first class services at a reasonable price. If you are going to pay someone to clean your home or your carpets then you should definitely get your moneys worth. 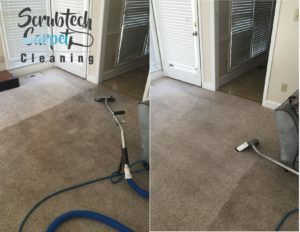 You can rest assured that when hiring a cleaning service in the Fayetteville, NC area that you can't go wrong with Scrubtech Cleaning.